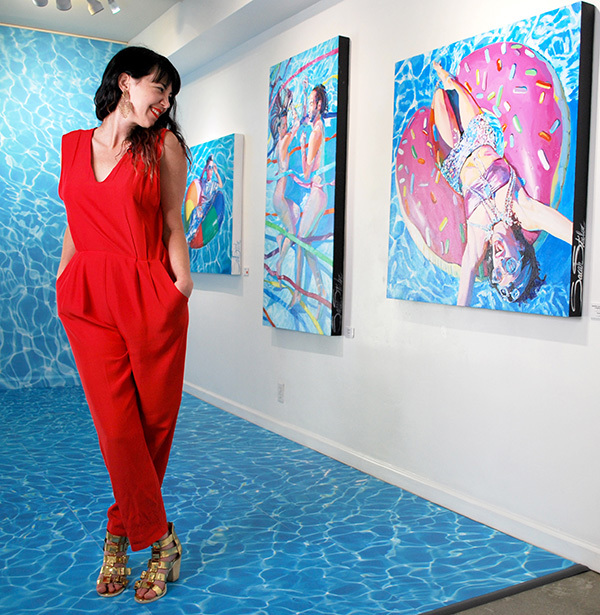 Recognized as one of “15 female artists you need to know from Miami Art Week” on CBS, San Diego artist Sarah Stieber is taking over the iconic Mee Shim Fine Art Gallery in Little Italy. After a successful soft opening on June 30, Stieber is preparing for her Grand Bash Opening on July 7, from 7-10 p.m. There will be cocktails by Pomp and Whimsy and El Silencio Mescal, and bites by Beaming Organic and the Living Room Café along with custom painting inspired treats by the Whimsy Whisk. Guests are limited to the size of the gallery, so people are encouraged to RSVP to betty@sarahstieber.com. 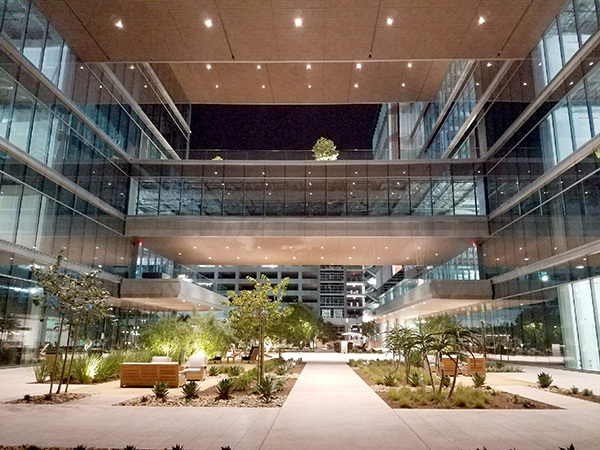 On Thursday, June 28 Schmidt Design Group won seven awards at the American Society of Landscape Architects’ 2018 Design Awards. One of their award-winning projects was centered Downtown — The Children’s Park redesign project. Some aspects of the redesign include adding a dog run, a children’s play area, a vendor building, a footbridge, a restroom and fitness stations. Other winners included Spurlock Landscape Architects, honored with the President’s Award, Schmidt Design Group, honored with seven awards and Imperial Beach Mayor Serge Dedina who was presented with the Stewardship Award. The San Diego based Schmidt Design group won seven awards including honor awards for their Linda Vista Skate Park, River Trail-Estuary Segment Enhancement Plan, The Silver Strand “Nature’s Bridge to Discovery”, and merit awards for Children’s Park, Civita Park Phase 1, Noah Homes Memory Care and others. Judges included Betsy Lane, Betsy Lane Art; Marvin J. Malecha, President, New School of Architecture; Craig Mohns, VP Benchmark Landscape; Bill Mastick, Principal, Quadriga Landscape Architecture; Perry Cardoza, President, NUVIS Landscape Architecture; Halina Steiner, Associate Professor, Knowlton School of Architecture at The Ohio State University, and Roger Showley, retired journalist, SDUT. For more information about the American Society of Landscape Architects, visit asla-sandiego.org. On June 12, The Board of Port Commissioners authorized a grant funding agreement totaling $5 million for a microgrid project with the California Energy Commission (CEC). Broken down, that $5 million agreement includes $4,985,272 from the CEC, $4,427,973 from the Port, and $201,963 from University of California San Diego. The total cost of the project should be around $9.6 million but should save the Port around $168,000 per year on utilities. For more information about the Port of San Diego, visit portofsandiego.org. Mayor Kevin Faulconer proposed the city of San Diego’s first license-based system for managing short-term residential rentals on Thursday, June 18. The proposal aims to manage short-term rentals by charging cost-recoverable fees to administer licenses, enforce code violations, implement a “Good Neighbor” policy, hire staff to deal with nuisance complaints and implement a per-night fee. As per the proposal, a maximum of two licenses can be given to a host. Regulations would require a three-night minimum stay for Downtown communities and units with five or greater bedrooms must obtain a Neighborhood Use Permit from the Development Services Department. Additionally, if adopted, the proposal would implement a hotline or mobile application for residents to report violations and police and code enforcement officers to address them. The City Council will consider this proposal at a hearing on Tuesday, July 16 at noon. To read more, visit sandiego.gov/STRO. Back in June, a Native American student at El Capitan High School in Lakeside couldn’t wear an eagle feather, a Native American symbol, at his high school graduation ceremony. In response to that situation and others across the country, District 78 Assemblyman Todd Gloria has authored the Gloria Bill or AB 1248, with support from the American Civil Liberties Union, California Teachers Association, California Tribal Business Alliance, National Association of Social Workers California Chapter and 16 tribal nations. To read the full text of AB 1248 visit bit.ly/GloriaBill. The San Diego Metropolitan Transit System (MTS) has earned the top safety award from the American Public Transportation Association (APTA) for its Anticipate-Recognize-Take Action! (ART) campaign. The campaign has received praise for eliminating trolley accidents caused from illegal left turns from motorists — going from 10 accidents to zero in the 17 months after ART was implemented. Key elements of ART included installing lane delineators and signs at eight intersections along Park Boulevard and C Street and starting a defensive driving program for train operators focused Downtown. For more information, visit sdmts.com. A coalition of businesses, labor organizations and homelessness advocates in support of Yes! For a Better San Diego gathered over 100,000 signatures in an effort to put a deal freeing up available land for a San Diego Convention Center expansion on the November ballot. “We are excited to have passed the 100,000 signature mark and are proud of the enthusiastic support we have received from voters as we work to address three of San Diego’s most urgent needs – reducing homelessness, fixing city streets and creating thousands of new, permanent jobs. We are on pace to meet our goal of submitting our signatures by mid-June to qualify for the ballot in November,” said Campaign Manager Chris Wahl in a press release. For more information about the coalition, visit their Facebook page at bit.ly/YESbettersd. On June 28, the San Diego County Regional Airport Authority partnered with officials from U.S. Customs and Border Protection and Turner|PCL Joint Venture for a ribbon-cutting in celebration of a new 130,000-square-foot International Arrivals facility at terminal two of the San Diego International Airport. The new facility was created to accommodate the increase from 50,000 to 400,000 international passengers a year between 1990 and 2017. The new facility is five times larger than the previous facility and will also feature new facial recognition technologies for arriving international flights. Its total cost is an estimated $229.4 million. It will serve British Airways, Edelweiss Air, Japan Airlines, Lufthansa, Alaska Airlines, Southwest Airlines and Spirit Airlines. For more information, visit san.org/Airport-Projects/FIS. The Port of the San Diego Harbor Police Department named 12-year Harbor Police veteran Corporal Ramirez as its 2018 Officer of the Year. The award is given annually for exceptional service and teamwork. Corporal Ramirez has been a detective on the Investigations and Intelligence Unit for the past five years and helped close many significant investigations, including an attempted stabbing and carjacking. Additionally, he is a field training officer and member of the Harbor Police Dive Team. “His tenacity and commitment to conducting thorough investigations gets results and makes him the kind of leader we’re proud to have on our force,” said Harbor Police Chief Mark Stainbrook in a press release.